Let me see if I can help with this for you.. They are about 12hrs ahead of us so I won't hear back till tonight. My self, I would copy and paste all the communications in the order they were created to a document and present that to Leafasia for comment and ask them to fix the problem, then if they won't, turn that into a post under a new name like someone won't honor order or something similar, but give a chance to work with you and DHL and bigdan120 first. let us know what happens ! Did USPS assign a tracking number to it since they picked it up at DHL? Low Gear pm me I will give you my phone number. I'll try to see if we can get this straightend up..
Casey at Leaf Asia is a small supplier. With that said I've done buisness with her and became friends. I will try to help you and Casey as much as I can..
A claim has been started by Leaf Asia. This is Casey from Leaf Asia. First, thanks for Bigdan's kind help and Kinarfi's input. With regarding to the topic that James Funtjar issued, I want to say I feel sorry, this shipment goes in a way out of our image. According to DHL staff that James Funtjar found: The parcel is on the way returning from UPPS since it can not be delivered to the address James provided to me. It was sent back on Jan-11th and hasn't arrive Phonex USPS up till now. James mentioned in his email: the parcels has been lost by USPS. Isn't this confusing? Which of the above is the real fact? If according to DHL, when they were waiting for customer (James) to pick up the parcel, the shipment could be finished earlier. I am not trying to avoid any responsibility, i care our business reputation more than money. i want to provide good services to all customers no matter how big their order is. But i want to do this based on fair and reasonable reason. I just want to make clear the whole thing. I will take all responsibility that I should take. Again, I hope James can be calm down and work with me to verfy the shipment and work out a plan to solve the problem. As Kinarfi's suggestion, I collected emails between James and I for this shipment in attached EXCEL file. All emails are screen-copied. Any input or advice will be appreciated. i think all of us will learn from this issue. I won't get into a he said she said argument. I'll just state that they don't have and didn't show a document with my signature on it. Also they didn't include any of the email's they got from DHL, especially the one stating that it was a computer error that caused them to say that I had received it and also that it was waiting to be picked up at DHL. 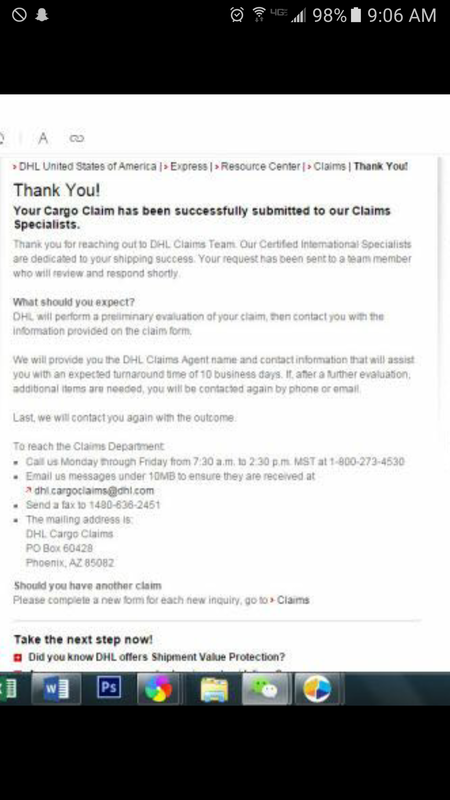 The last email sent by DHL stated to them that they had to make a claim not me they are the shipper. I had Casey ship the another gear set to me. I will ship it to you from PA. I need a good address where this can be received by you. Please email at [email protected] so I can get this to you. Anyways sorry for the issues with the shipping. I don't believe that Leaf Asia will be using DHL in the future. Fuel pump runs but nothing is getting tô it. I tried putting a vacuum on the outlet hose of pump and it wouldn't pull anything. This machine sat for a year and a half unused. Is there a way to prime the lines? What could be the cause of the fuel not getting tô the pump? I recently bought a rear for my cammando from joyner and somethings not right the cv axles fit fine but the output shaft is different any one ele run into this problem or have an idea to make it work? Im gonna email joyner today and see if they can help but i figured someone on here might know something. Old guy that lives down the road is having a problem with his box side by side. It'll start and run for about five to ten minutes then bogs down and dies. It will not start up till it cools down and then it will start fine and do it again. Gauge shows not overheating and the oil and antifreeze is topped off. Any suggestions on what it can be? Just trying to help him out. Ordered a ring compressor, and they came with Ring pliers. Selling them since I already had some. asking they do fit the rings on my Mule 550, so might on most UTV's. 8.00 +shipping or best offer.